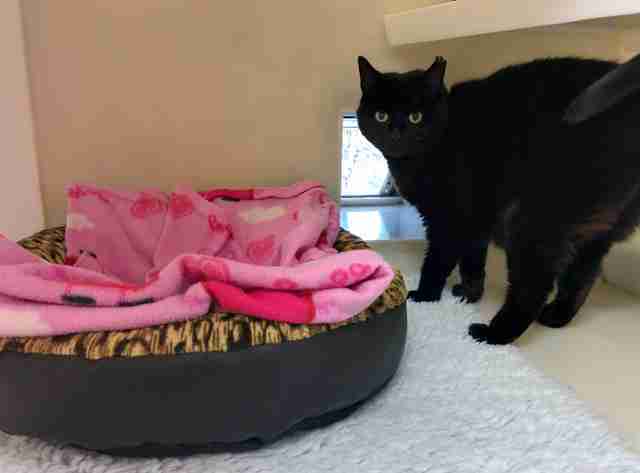 Poppy was found on the streets, sick and alone, and taken in by the RSPCA back in April. 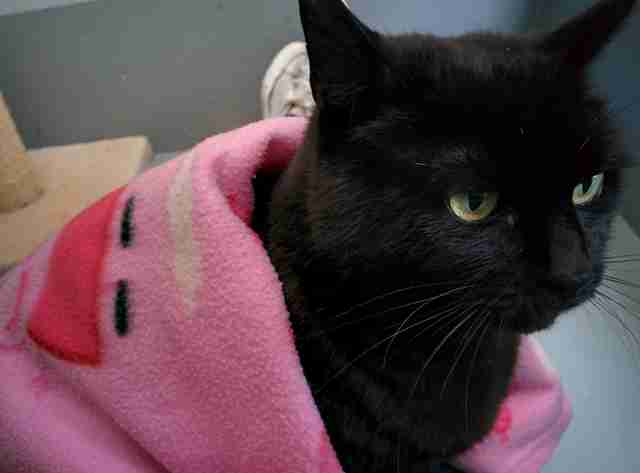 The sweet black cat is already 11 years old, and while she isn’t a huge fan of other cats, there is one animal she absolutely loves — Peppa the Pig, the character on the only blanket she’ll ever play with or sleep on. Poppy is very sweet, but can be a little timid, and having something she can always count on and have with her at all times is helpful for her. After she met the Peppa the Pig blanket, she refused to use any other blanket offered to her, and now it’s her favorite thing in the whole world. Poppy likes snuggling up under the blanket, sitting on top of it, dragging it around her enclosure and just being around it in general. As long as her blanket is near her, she’s the happiest cat around. 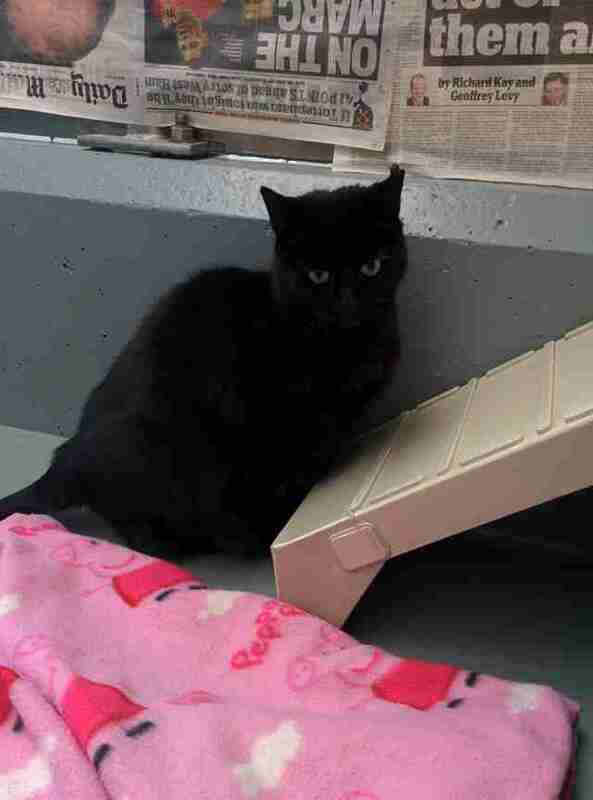 Poppy has been at the shelter for over six months now, and no one is quite sure why. 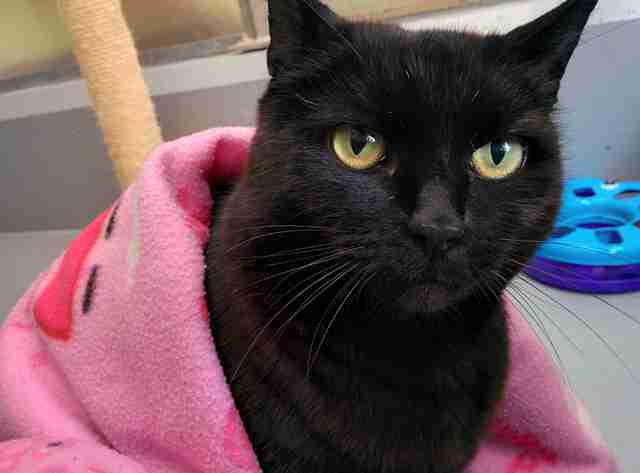 Despite being a senior cat, Poppy is playful and loving, and wants nothing more than to find a quiet home where she can get lots of cuddles and take a ton of naps — all on her Peppa the Pig blanket, of course. If you’re interested in adopting Poppy, you can contact the RSPCA through email at stapeleycattery@rspca.org.uk.